Philadelphia, PA - The Women's Wellness Guide is unveiled at Acme Markets just outside Philadelphia, PA. 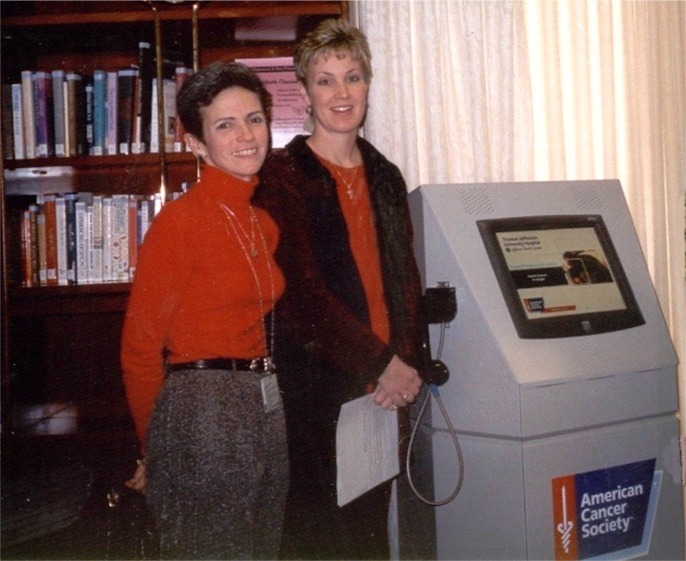 In this photograph, Pennsylvania's First Lady, Judge Midge Rendell (Left) is shown using the health education kiosk with two Acme team members (Middle and Right). The Women's Wellness Guide is strategically located in the Acme pharmacy area offering women the opportunity to confidentially look at information on women's health issues and learn about resources available to help them. 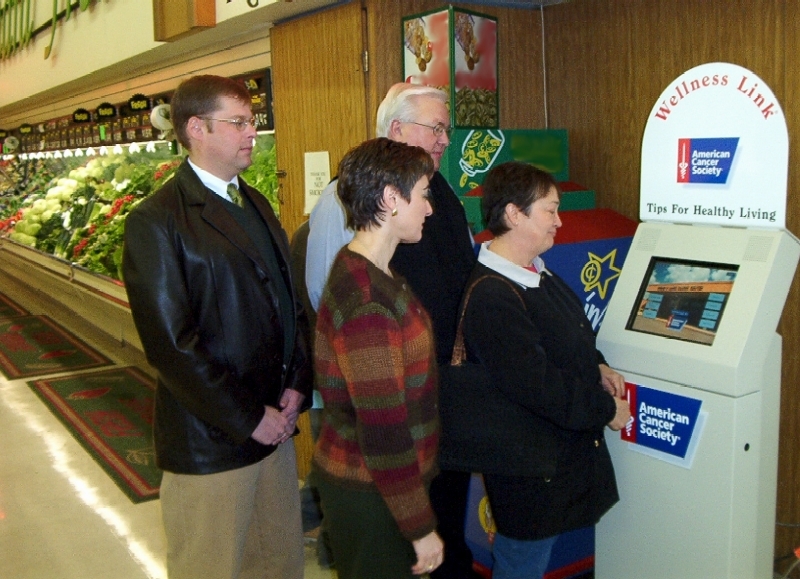 With over 7,000 annual users this deployment is not only heavily utilized but over 90% of users report that their interaction with the kiosk was favorable and that they learned something that they will apply to their own health lives. 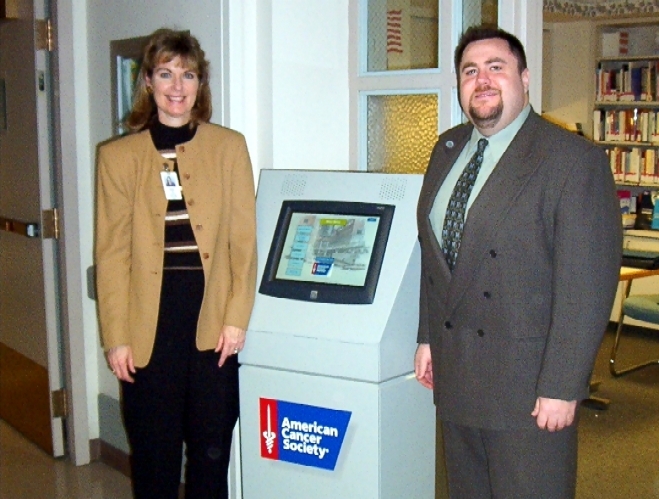 Pittsburgh, PA - Lynda Tunon, University of Pittsburgh Cancer Institute (Pittsburgh, PA) and Dan Catena, ACS representative from Pittsburgh are shown with the new WellnessLink unit in its temporary location near the oncology out patient area of the hospital. York, PA - Get your motor running! Harley Davidson's York manufacturing facility joined the prestigious list of companies who care enough to place a WellnessLink unit where their employees can benefit from it. 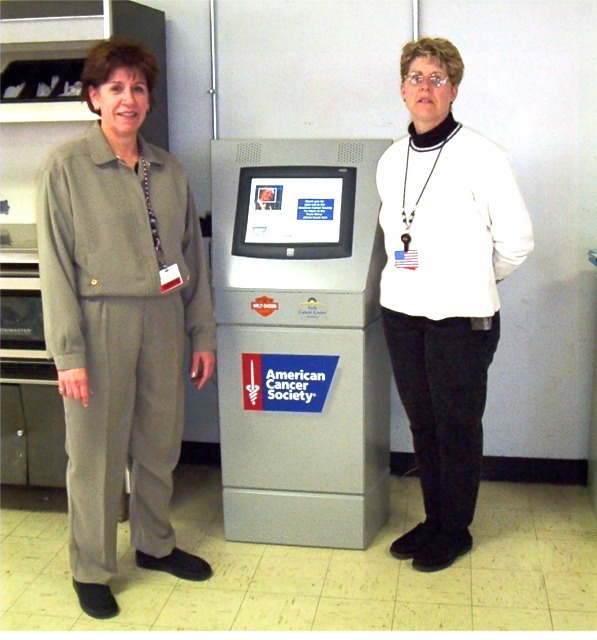 Holly Miller (left) and Bonnie Robertson (right) from Harley are shown with the new WellnessLink unit located in the Harley Davidson cafeteria. 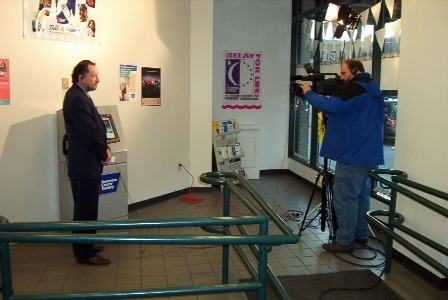 Philadelphia, PA - The new American Cancer Society Wellness Link unit at Thomas Jefferson Women's Center, Philadelphia, Pennsylvania. Units are now located at Fox Chase Cancer Center (Philadelphia) and The University of Pittsburgh Cancer Center. Each of these facilities are National Cancer Institute certified. Dayton, OH - The new American Cancer Society Wellness Link unit in the Dayton Mall, Dayton, Ohio. The unit is the first equipped with full Internet connectivity allowing cancer and local services content to be delivered from remote locations. 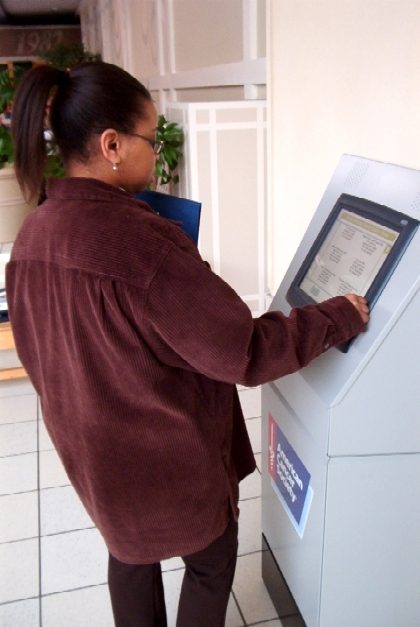 Timely access to system use is also available on the Internet using St. Andrew's KioSync kiosk control software. Andrea Jemmott, ACS Dayton, is shown in the photograph.